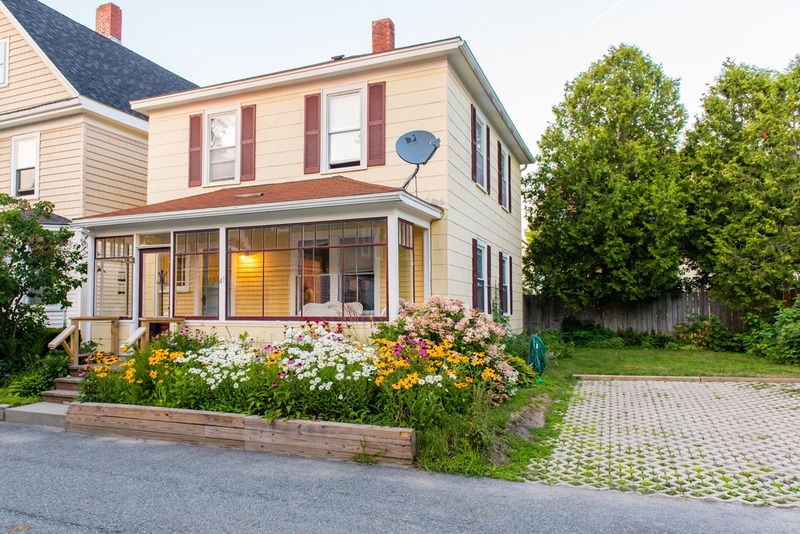 This fully renovated downtown home features an exceptional location in the heart of Bar Harbor within walking distance to all downtown restaurants, shops, supermarket, and amenities including the main hub of the island wide free bus system allowing for a car free vacation. Walk to the local bike shop to rent bikes and ride directly into Acadia National Park. Pack a lunch and walk straight to the dock where your whale watching excursion boat departs. Grab the kids and walk downtown for an ice cream. Or enjoy that special dinner with family and friends without the hassle of squeezing everyone in a car and finding parking. Welcome to the Honeybee house! 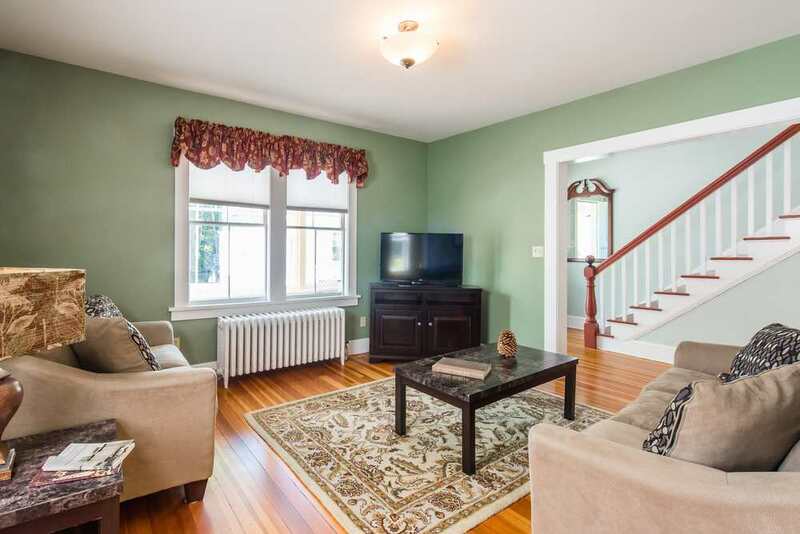 A freshly renovated Bar Harbor home in a quiet downtown area. Entryway leading to kitchen, living room to right, and upstairs bedrooms. Master bedroom with king bed and custom cherry wardrobe. Bedroom with custom made queen over queen bunk bed. Kitchen with door to back porch, lawn and gas grill. 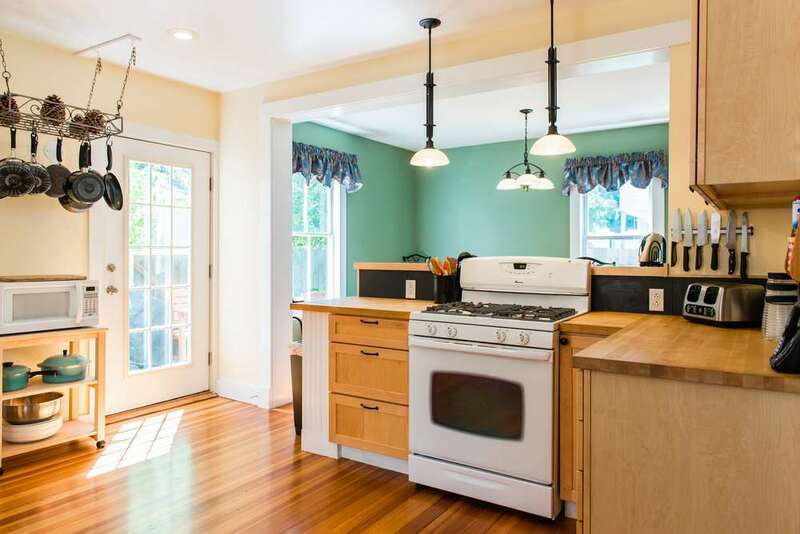 Large fully equipped kitchen with gas stove/oven. Kitchen with bar and stools connecting to dinning area. Living room with new furniture and ample seating. 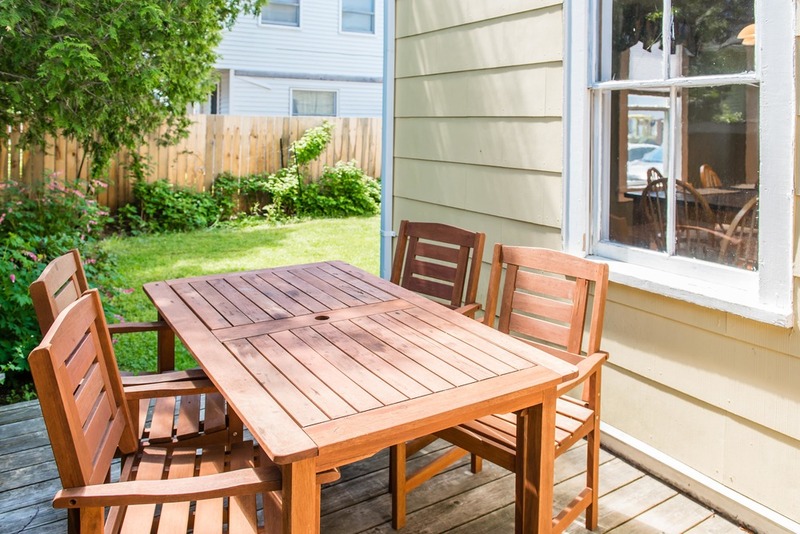 Back deck with dining area and grill. Bar Harbor's downtown area features great shopping and food! 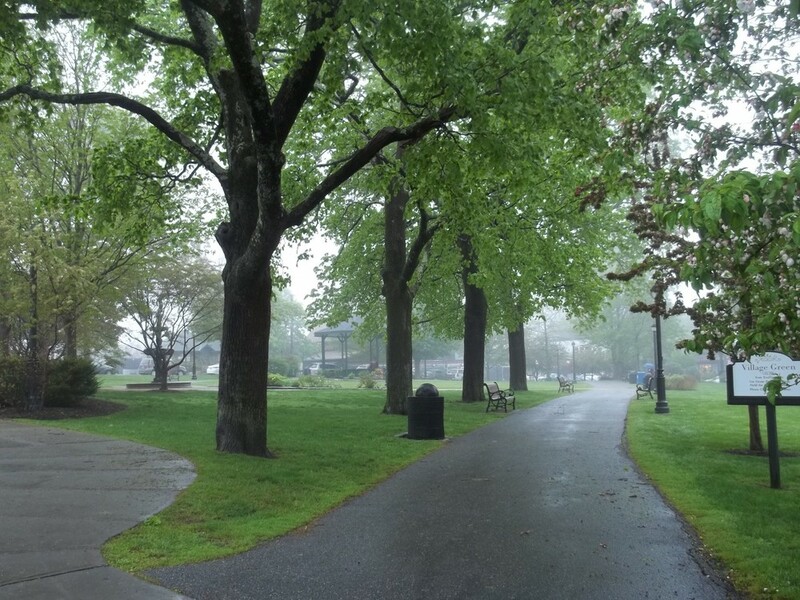 Bar Harbor's Village Green offers stunning views in the early morning mist. 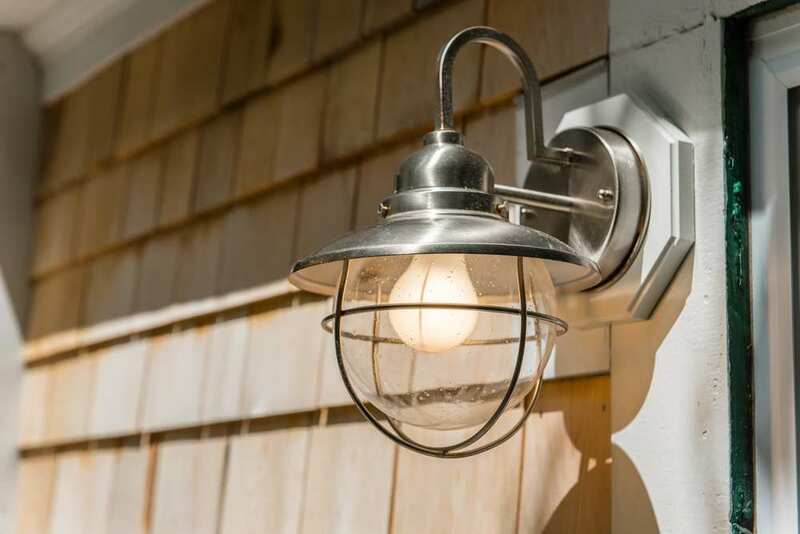 Honeybee is located just over a mile from the entrance to Acadia National Park's Park Loop Road and carriage trails. Thunder Hole is one of the many scenic stops on the Park Loop Road. 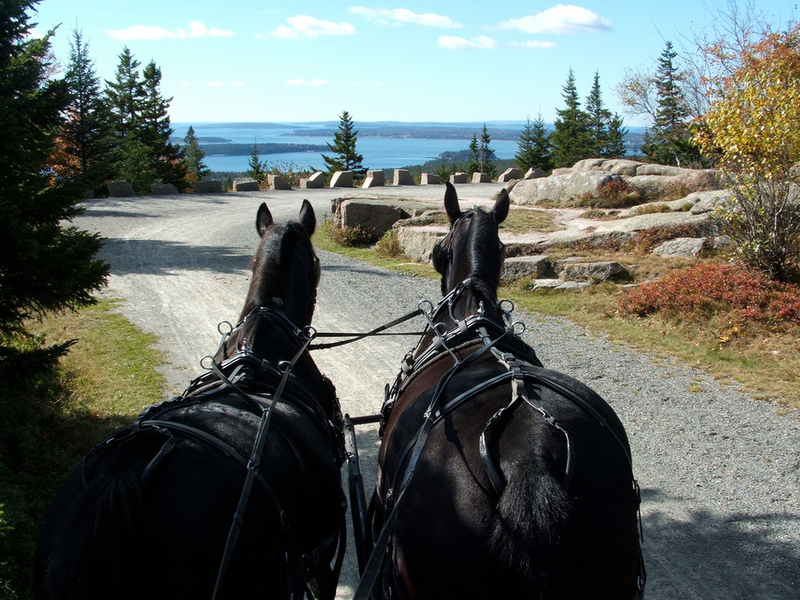 A horse-drawn carriage brings visitors to the summit of Day Mountain in Acadia. Beehive is one of the more challenging and fun hikes with ladders and stunning views of the ocean and island. 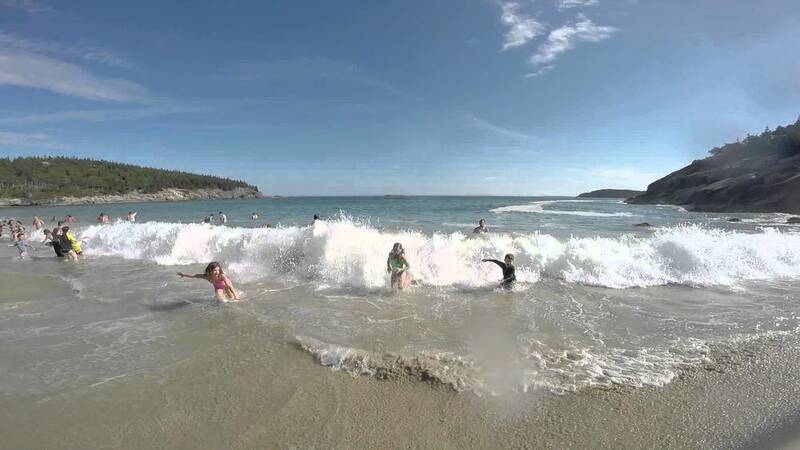 Sand Beach is just 5 miles from Honeybee. 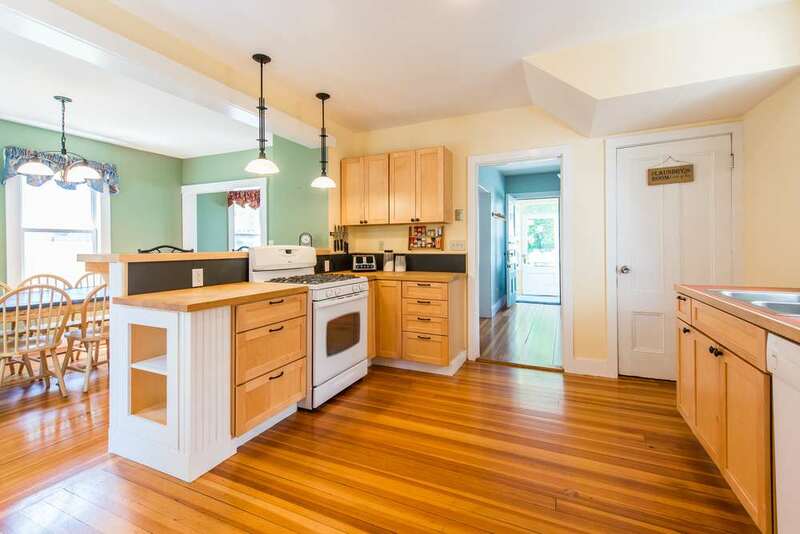 Situated in a small quiet residential neighborhood in the heart of Bar Harbor and just a stones throw from the grocery store, the Honeybee House is a historic 1920’s home that was completely renovated in 2007 with a more functional open floor plan and bright big kitchen. 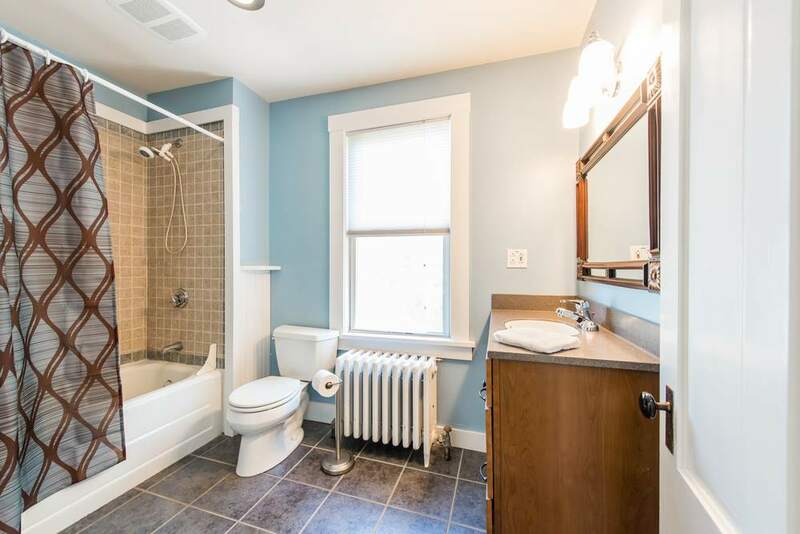 New to the rental market as of 2014, we updated the home with new furniture, new linens, and fresh paint colors. 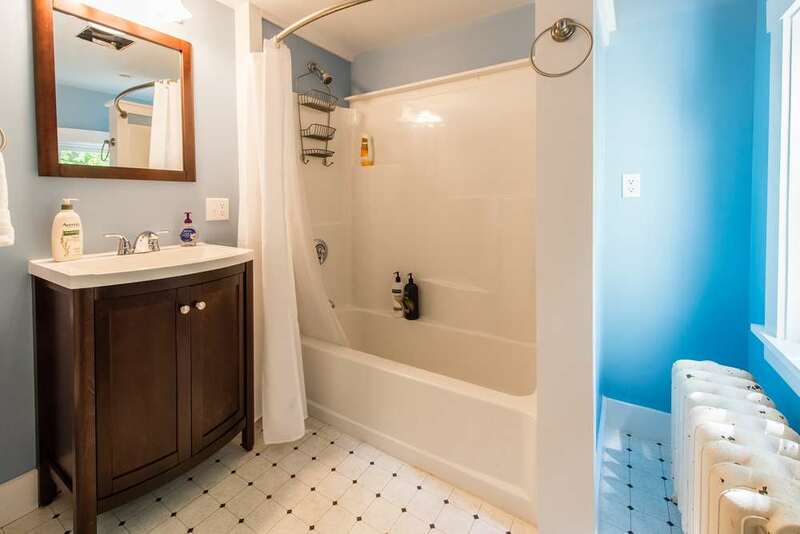 Featuring a lovely yard with a vibrant flower garden that compliments the deck with picnic table and gas grill, a large furnished glassed-in sun porch welcomes you into the house. Downstairs is the living room with ample seating, a spacious modern open kitchen, breakfast bar, dining area, and full bathroom. A door from the kitchen leads to the grill area and deck. With the proximity to the grocery store, this arrangement is a cooking enthusiasts delight providing the opportunity for some wonderful family meals. 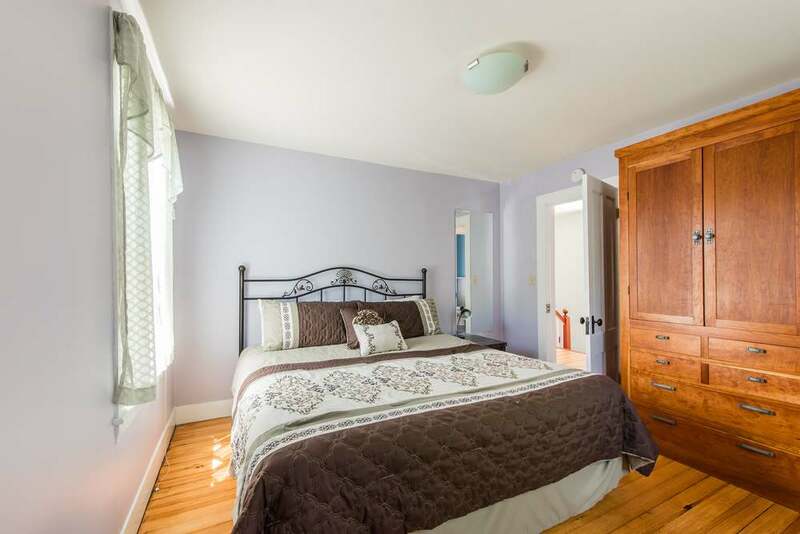 The second floor is the sleeping area with 3 bedrooms and a full bath. 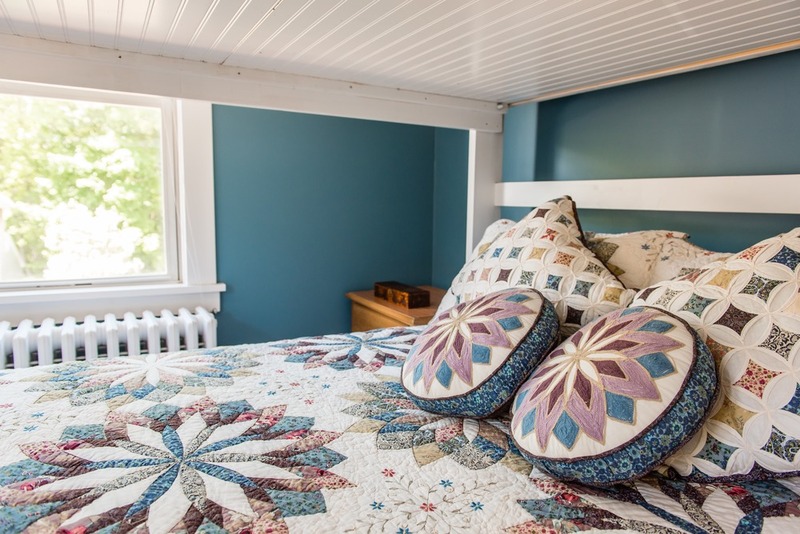 The master bedroom has a king and stunning handcrafted cherry wardrobe; the second bedroom is a custom queen over queen bunk bed, allowing for 1 or 2 couples or a gaggle of kids; and the third bedroom has a queen. 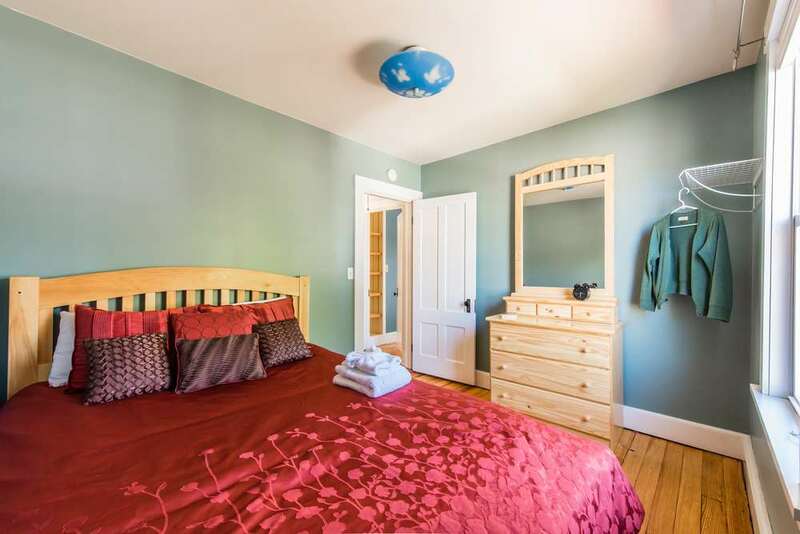 The Honeybee House is just the right combination of quiet yet convenient, with ample space and historic charm, yet an affordable rental price..